Bringing Down the Educational Wall studies the causes of educational expansion in a global sample of developing and developed countries from 1960 to 2005. The book explores how the interaction between the economic context of nations (economic development and inequality) and political factors (the type of political regime and the ideology of dictatorships) influences countries' educational outcomes. The book's main contributions are the exploration of ideological differences between autocratic regimes and the tracing of changes in different parts of the income distribution, which accounts for education expanding to broad sectors of the population. 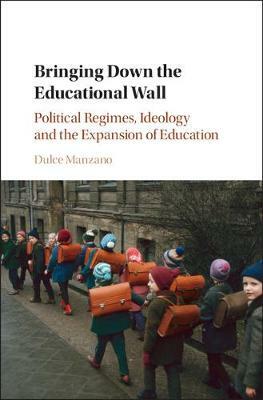 Bringing Down the Educational Wall introduces a new database on the ideology of dictatorships and uses quantitative methods and case analyses to test its theoretical arguments. This work will help students in comparative politics and political economy courses to develop their understanding of redistributive policies and the effects of political factors on the expansion of education.